Super Smash Bros. creator Masahiro Sakurai has revealed Pac-Maze, a stage that will be exclusive to the 3DS version of the brawler releasing this October. 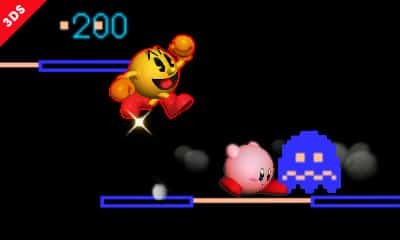 Nintendo shared that Pac-Man would be joining the playable character roster at E3 2014, and have duly taken inspiration from the origins of Bandai Namco’s creation to craft his own stage. 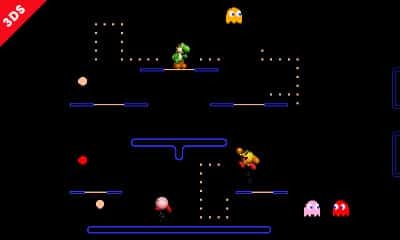 “Pac-Maze is a stage exclusive to the 3DS version, created in the Pac-Man motif. If you eat 100 Pac-Dots, Power Pellets will appear in your colour,” Sakurai shared on Miiverse. “If you eat a Power Pellet, the monsters will become vulnerable and you can defeat them just by touching them. Super Smash Bros. for 3DS releases across Europe and North America on October 3rd.